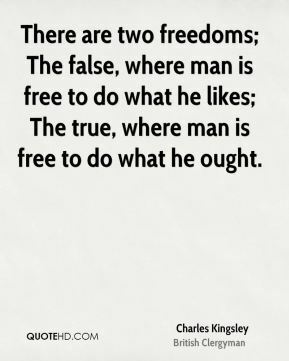 There are two freedoms; The false, where man is free to do what he likes; The true, where man is free to do what he ought. 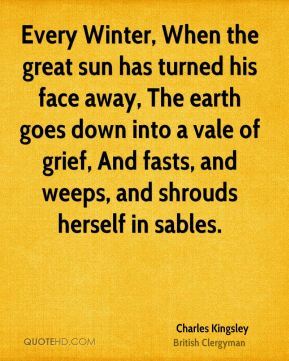 Every Winter, When the great sun has turned his face away, The earth goes down into a vale of grief, And fasts, and weeps, and shrouds herself in sables. 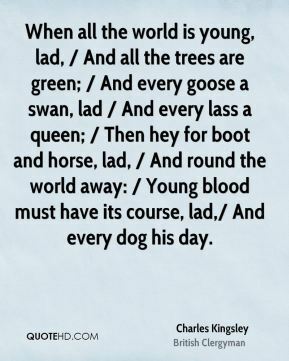 When all the world is young, lad, / And all the trees are green; / And every goose a swan, lad / And every lass a queen; / Then hey for boot and horse, lad, / And round the world away: / Young blood must have its course, lad,/ And every dog his day. 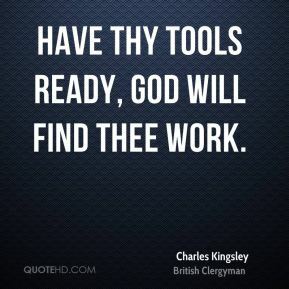 We ought to reverence books; to look on them as useful and mighty things. 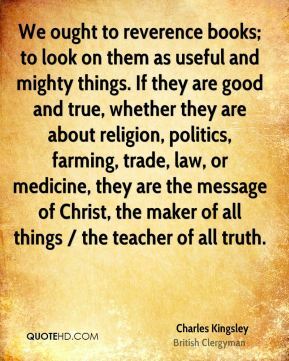 If they are good and true, whether they are about religion, politics, farming, trade, law, or medicine, they are the message of Christ, the maker of all things / the teacher of all truth. 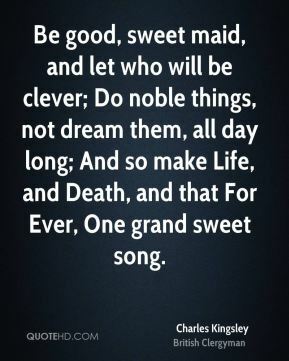 Be good, sweet maid, and let who will be clever; Do noble things, not dream them, all day long; And so make Life, and Death, and that For Ever, One grand sweet song. 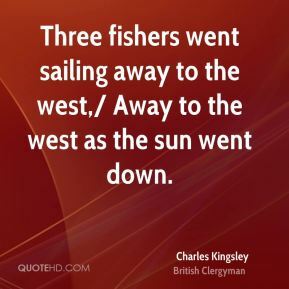 Three fishers went sailing away to the west,/ Away to the west as the sun went down. I once had a sweet little doll, dears, / The prettiest doll in the world. 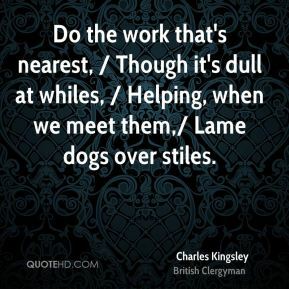 Do the work that's nearest, / Though it's dull at whiles, / Helping, when we meet them,/ Lame dogs over stiles. 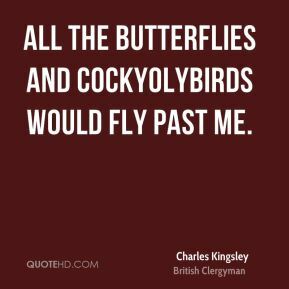 All the butterflies and cockyolybirds would fly past me. 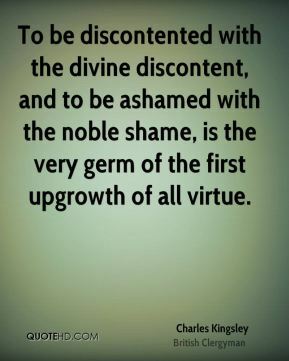 To be discontented with the divine discontent, and to be ashamed with the noble shame, is the very germ of the first upgrowth of all virtue. 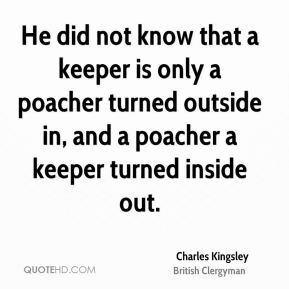 He did not know that a keeper is only a poacher turned outside in, and a poacher a keeper turned inside out. 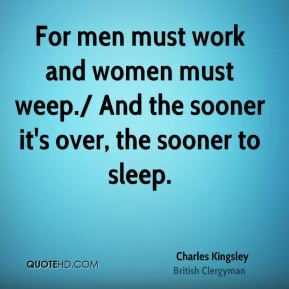 For men must work and women must weep./ And the sooner it's over, the sooner to sleep. O Mary, go and call the cattle home / And call the cattle home, / And call the cattle home,/ Across the sands of Dee. 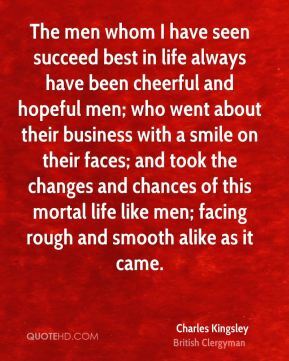 Except a living man there is nothing more wonderful than a book! 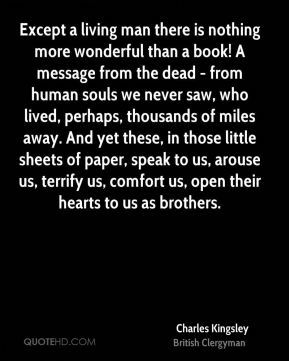 A message from the dead - from human souls we never saw, who lived, perhaps, thousands of miles away. 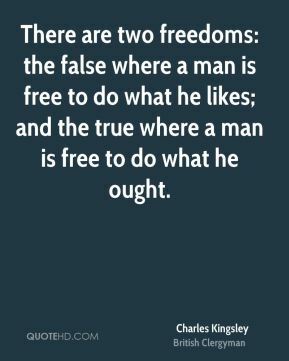 And yet these, in those little sheets of paper, speak to us, arouse us, terrify us, comfort us, open their hearts to us as brothers. 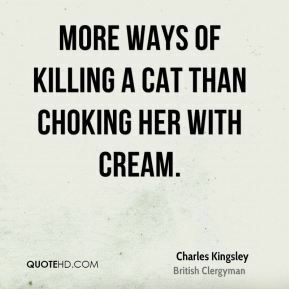 More ways of killing a cat than choking her with cream.